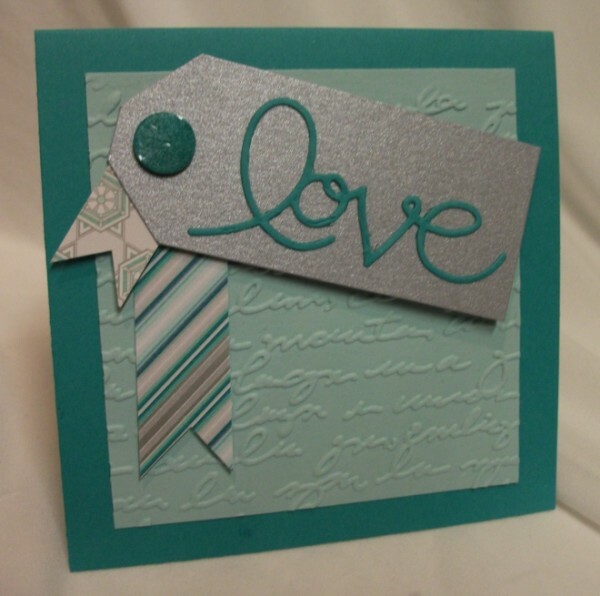 Julia's Cards: I LOVE the new Holiday Catalogue and you will too!!! 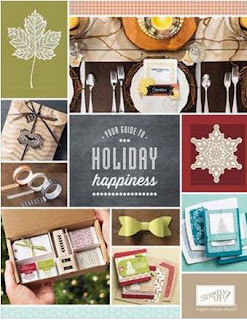 I LOVE the new Holiday Catalogue and you will too!!! 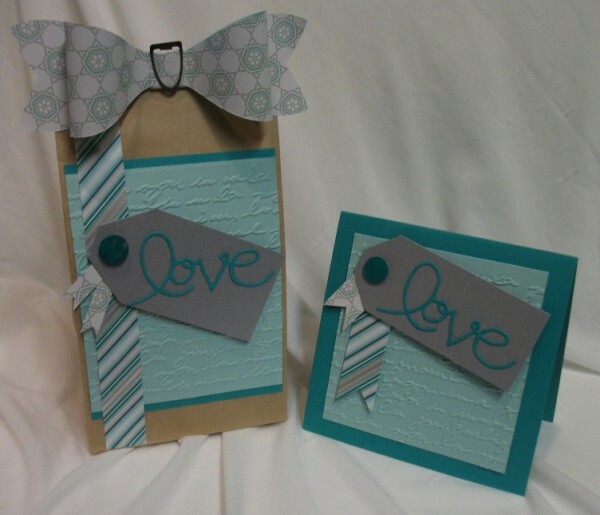 These LOVELY goodies are made from products straight from the new Holiday Catalogue which you can view online HERE. Don't forget that if you put in an individual order over $350 YOU get the Hostess Benefits!!! Gotta love FREE stuff. 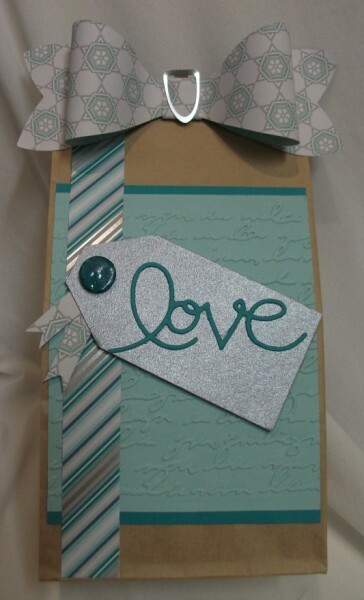 The bow on top is made using a new die, same with the word "love" and the embossing folder. 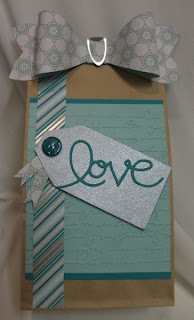 The Winter Frost Specialty Designer Series Paper (pg 29) has two sheets with metalic shine to it. And I LOVE the colours in it! The Card was a quick (and I mean QUICK!) 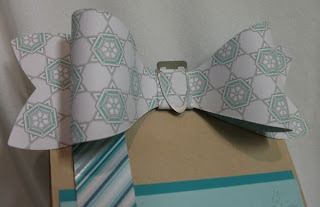 gift card to match the gift bag. 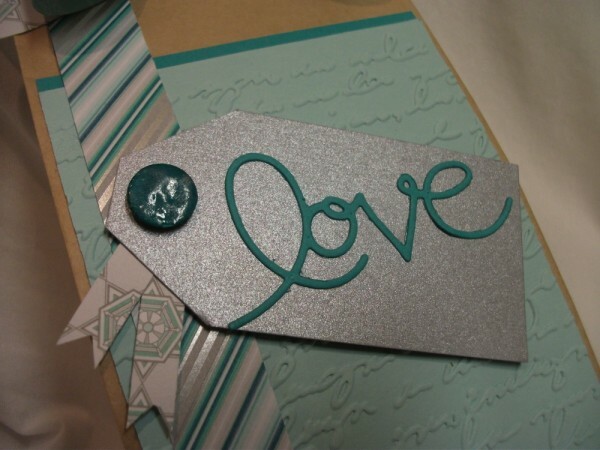 The "brad" is made with clear embossing a punched circle - easy as!